at 9.30am for four hours per session. More details can be found on the Daytime Courses page of the Sydney Community College. If you have been lucky enough to catch the series on ABC television then you are no doubt wondering what fascinating stories or hidden secrets you may discover should you begin to delve into your own family’s history. Having decided to discover your family’s past, it can be difficult to know where to start. However, with the help of the internet, and, in particular Ancestry.com, we now have the largest online family history information available to us at click of a mouse. You may have already considered beginning such a search so why not join this fun, relaxed eight-week course/ four day workshop, where, under the guidance of an amateur genealogist, you will be given the tools with which to begin building your family tree. Impress and astound your friends and family with what you find. You will bring history alive for them. We will be using computers. However, no computer skills are necessary to enrol in the course/workshop; although it will be necessary to possess an email address. At our first meeting, you will need to bring along as much information you can about the relative you wish to investigate. In addition, before hand, if you are able to create a two or three generation family tree, just by jotting it down on a piece of paper, that would also be helpful. A brief discussion outlining the student’s expectations regarding the course/workshop. Student notes distributed containing important information regarding relevant Family History Websites, free or other wise; location and names of Australian family history centres available to the public. Talk about websites and the many records they provide and where and how to find them on the internet. Question and answer session on the subject of the particular relative each student wishes to study. The tutor and students making notes as in which direction to take the investigation. Advise students to always make a note of births, marriages and deaths, also of addresses found on census forms. Explanation of Census records and forms. Logging on to Ancestry.com, taking the option of the 14 day free trial. The student supplying email addresses, passwords, credit card details, the tutor explaining the ’get out’ clause. A step by step session, using the whiteboard, as to how to begin and conduct a family member search. Then individual, hands on, tuition of each student to get them started. Follow up from previous session. Discussion regarding any discoveries the students may have made. Advice as to which records to look into next. Talk about ‘brick walls’ and what to do should they be encountered. Explain how the student can opt to have a private or public tree. A public tree can be shared by others with public trees. Continuation of student searches with the help of the tutor. The student is becoming increasingly confident searching the various websites. The tutor giving advice where it is needed. 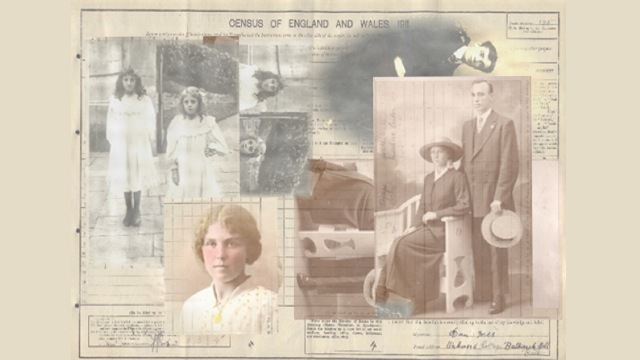 Explain how to scan and download photographs to be included in your family tree. How to create a story about a family member and put it onto the tree so that others might share it. The students continue their searches, building their trees, adding stories perhaps photographs, making notes as they go. Whether to continue with Ancestry.com and become a full member.